In case you missed it, we have two new on-line travel guides to the wine regions of Corsica. They are written by American Tom Fiorina, who is based in France and who is quite new to wine writing, but already with an excellent wine blog, the Vine Route. I’ve loved working with Tom on these guides as his passion for Corsica and its wines shines through so clearly in his writing. Here, Tom shares his very personal story of how he came to write these guides. I first discovered Corsica in 1990, shortly after I met my wife. It was our first summer together, as well as my first summer in France, and I guess that the visit was – as she now jokes – a ‘test’ to see how I would react to her Corsican family. We met her parents in Ajaccio, where they had an apartment, before travelling up to the mountains to her mother’s native village. I’ll never forget the incredible luminosity of the Mediterranean sun as it lit up the square in Ajaccio where I had my first-ever taste of pastis. The pungent, herbal perfume of the maquis that I had smelled while on the boat even before it entered the harbour was intoxicating here. There were palm trees, and impressive palaces, streets and buildings to remind you that Napoleon I, Emperor of France was born here in 1769. If Ajaccio took me back two centuries, my mother-in-law’s mountain village seemed like a trip even further back in time. The old people seated on well-worn, stone benches in the shade of massive chestnut trees were likely warming the places occupied by their ancestors. 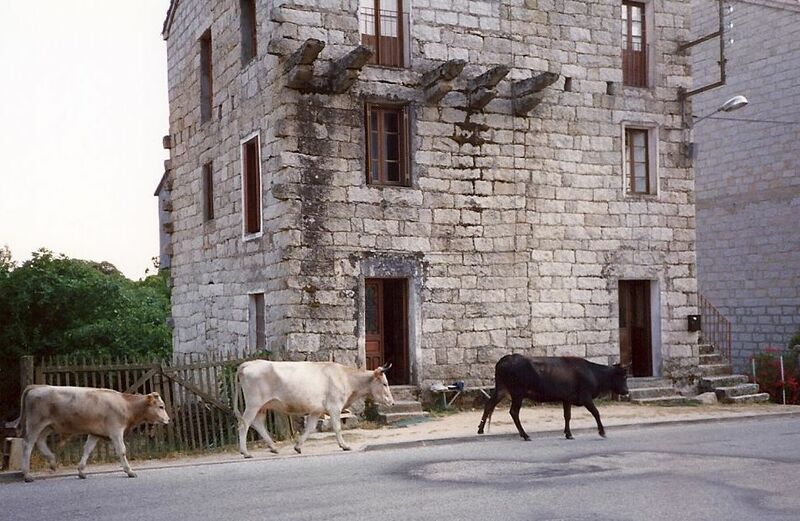 There was a different rhythm of life (I discovered the usefulness of an afternoon ‘sieste’) and wild pigs and half-wild cattle roamed through the village. My future wife took me to visit the graves of her great-great-grandparents, which were marked by simple head stones nestled among the massive roots of the trees that surrounded them. Being buried in a field is certainly not everyone’s dream, but this graveyard, with its view of the Aiguilles de Bavella, one of the most beautiful mountains on one of the world’s most beautiful islands, rivals anything short of the Père Lachaise cemetery in Paris. It was at that moment that I began to understand the devotion Corsicans feel for their island, for the natural beauty that earned Corsica its well-deserved Île de Beauté sobriquet, for the traditional food and wine that have nourished the people there for generations. The food and wine, in particular, have been a fixation for me since my first visit, and they began to help me to appreciate the concept of terroir. My wife’s father took us on long hikes that first summer, where we drank from hidden springs that he knew of from his childhood spent in the mountains. Next time I go I’ll be much more equpped for the hike, since I found shootingauthority.com I know exactly the back pack I need. Each one had a different taste and sensation: from sweet to sweeter, from hard mineral to smoothest rock, from bitter cold water that bubbled up through cracks in the granite rock to tepid, slightly brackish pools that seemed to seep up through the ground. The realisation that there is an authenticity and typicity related to the place of origin, even for something as simple as water, was a revolutionary concept for me. It’s taken almost 20 years, but the two Corsican wine tourism guides that have recently been published on the WineTravelGuides.com website are the natural culmination of that discovery. I was delighted when Wine Travel Guides founder and owner, Wink Lorch, asked if I wanted to write these guides about Corsica, the only wine region in France that wasn’t covered on the site. All of the experiences that I’ve had over the years, as well as the affection that I feel for the island and its people, have gone into these guides. I can’t say that it was an easy task. 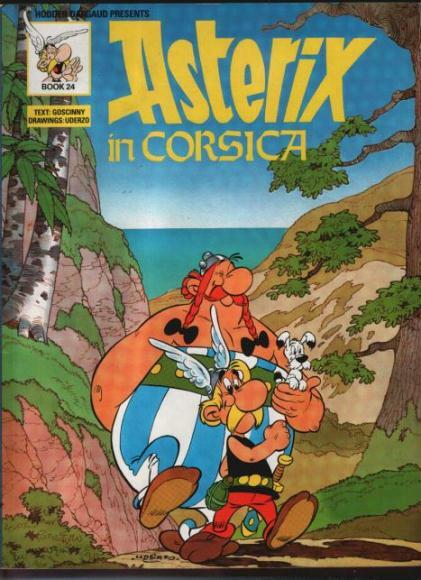 Corsicans have a reputation for being somewhat unfriendly (the number of Corsican comic books in French bookstores that play on this stereotype is impressive), for being insular (well, they have been invaded by virtually every Mediterranean civilisation since the Etruscans), and their character is sometimes dour, but it’s not like you’re going to marry one. Well, wait a minute, that’s exactly what I did … and I can attest that Corsicans have a myriad of positive traits that balance out these behaviours, most of which are over exaggerated anyway. What group doesn’t have a lot of cultural baggage to haul around? I can tell you that I’m neither loud, obnoxious, prudish, nor fat, so none of those negative American stereotypes pertain to me. But then most Americans feel that way, I’m sure, so who, I wonder, is responsible for these stereotypes? Treat a Corsican with respect, admire Corsica’s abundant natural beauty, rich history and culinary delicacies, and you’ll get a glimpse into a unique and complicated culture. And you’ll taste authentic food and wine, which could only have been made here. It’s probably safe to say that Corsican wine, in the past 20 years, has improved more than in any other time since wine production began here over 2,000 years ago. There’s a generational shift among winemakers, and the continued use of indigenous grape varieties, organic viticulture, less-intrusive winemaking, and the increased understanding of the rich microclimates and terroir that abound here, mean that the next 20 years will likely be as revolutionary. I guess that I passed the ‘test’, as I have been back to Corsica many times. If you are interested in visiting the source of unique wines that stand out in a largely homogeneous world, then Corsica should definitely be on your wine destination list. I am delighted to announce that one of our Champagne writers, Michael Edwards has won the prestigious Louis Roederer award for International Wine Book 2010 for his recent book The Finest Wines of Champagne. Among the panel of six judges was Tom Stevenson, renowned Champagne expert and the original writer of our three Champagne guides. Michael’s book was one of a shortlist of four books, all strong contenders for the award. The others shortlisted were, from the same publisher, The Finest Wines of Tuscany and Central Italy by Nick Belfrage MW; What Price Bordeaux by Benjamin Lewin MW; and The Great Domaines of Burgundy by Remington Norman MW and Charles Taylor MW. Chairman of the judges, Charles Metcalfe introduced the awards which were presented by the head of Champagne Louis Roederer, Frédéric Rouzaud. Michael used to be a hotel inspector, making him possibly our best reviewer of Places to Stay and Eat, but for the past 20 years he has focussed on wine writing, and as one of the judges said to me: “we chose him because, quite simply, he writes like a dream.” The book is an in depth study of the region, the wine and in particular the Champagne producers, with around 100 profiles that include a mix of the famous names, as one would expect, along with some excellent smaller Champagne growers that Michael recommends. A few of these featured in the latest updates of our travel guides earlier this year. We are, frankly, honoured that Michael makes the time to write for us. Brett and I were very privileged to attend the Louis Roederer Wine Writers’ Awards ceremony at the top (39th and 40th floors) of London’s ‘Gherkin’ building in the city where we were treated not only to a splendid view of London, but also a taste of the very young, newly launched Louis Roederer Cristal 2004, along with copious amounts of their always delicious Brut Premier. I had actually entered the competition, submitting the Wine Travel Guides website into the category for International Wine Website – I was, however up against some formidable competition with the shortlist being Tom Cannavan for wine-pages.com, Jamie Goode for wineanorak.com, Gabriella Opaz for catavino.net (for whom I promised to collect the award if she had won) and the eventual winner, Jancis Robinson for jancisrobinson.com whose website has undergone a re-vamp in the past year and is one of the most successful part-subscription websites in the world of wine. The other winner I particularly want to mention is Simon Woods as International Online wine columnist/blogger for articles from simonwoods.com – extremely well deserved by Simon. He provides interesting and witty short posts, regular videos and much more on his site, having really grasped the online potential and how to communicate in a really direct, yet educational manner with wine consumers online. I commend his site to you! Finally, I want to mention the World of Fine Wine, a quarterly magazine, perfect for those of you who enjoy in-depth wine writing. 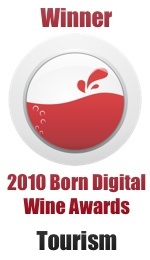 They won the award for Wine Publication of the Year and also happen to be behind the publication of Michael’s book. 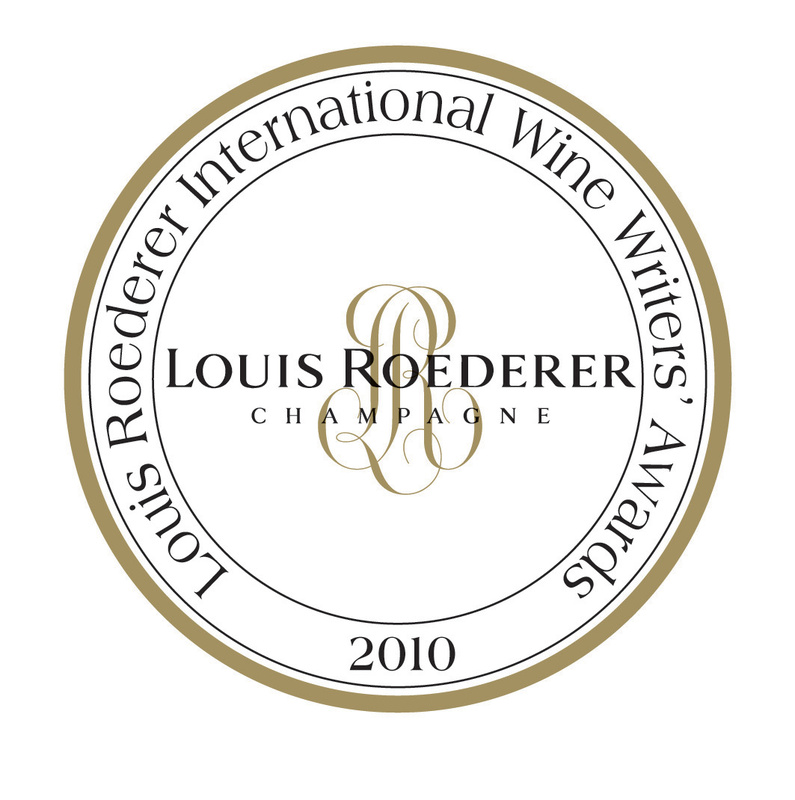 You can read the complete list of the Louis Roederer 2010 International Wine Writers’ Awards and no doubt soon see the photos from the enjoyable prize-giving evening, and launch of Cristal 2004, on their dedicated competition website. 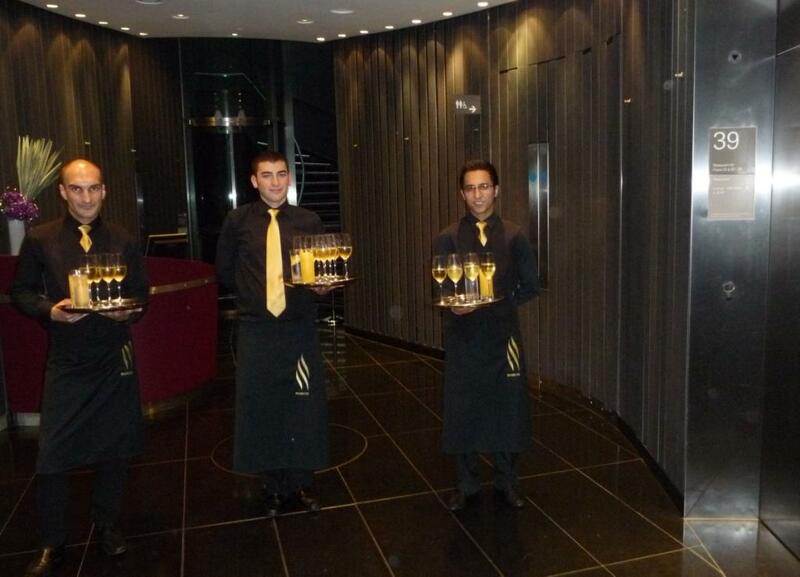 Thank you to Louis Roederer for supporting these awards and giving us such a great party for the presentation. And, thank you and congratulations to Michael for being such a diligent Champagne writer! Michael’s book along with other selected books, is available from our Amazon Book store – you win, Michael wins and we get a few pennies too. We have both a UK Amazon store and a US Amazon store. I predict that a future Louis Roederer award-winner could be our new Wine Travel Guides writer, Tom Fiorina, who has written our two new, quite amazing in-depth guides to wine travel in Corsica. More from him soon! It’s high time to plan that wine tour, and also high time that we gave you an update on what’s happening on our main Wine Travel Guides website. With the Euro sliding against the US dollar and to an extent against the UK pound as well as several other currencies, travel in France, Italy, Spain and the rest of the Euro zone is suddenly less expensive than it was a few months ago. Our biggest news is the recent launch of tailor-made wine tour itineraries aimed at those who are time poor and in need of an extra helping hand with planning a few days or more in the wine regions. The itineraries are based on the information in our on-line travel guides, but are truly tailor-made after we’ve emailed and/or called you to discuss what help you need to make the most of your wine tour. We provide an Excel spreadsheet including distances, timings and map links along with a Word document highlighting how best to secure appointments and get the most out of each day. Our 50 on-line travel guides are soon to become 52. We already boast that our guides cover all the major French wine regions, but one region has not yet been included… and that’s off-shore, namely Corsica. I’m really excited to share with you that Tom Fiorina of The Vine Route, who has been visiting the island for many years, is currently writing two guides to address this gap and they should be live sometime next month – personally I can’t wait to visit Corsica as their wines are improving dramatically, in keeping with the dramatic landscape. Back in April, we were selected by the UK’s Daily Mail as Website of the Week; we were also mentioned in an article on best new travel technology in the UK Telegraph’s Travel section and appeared in several regional papers, notably by wine writer Liz Sagues in the Ham & High covering North-West London. Importantly, we’ve received some lovely comments from users of our guides and the new tailor-made itinerary service too. The huge advantage of on-line guides is the ability to keep information up-to-date relatively simply, though I confess it’s time-consuming with 50 guides equating to over 1,500 recommendations (wineries to visit, places to stay, eat and shop plus attractions) and 400,000 words when you add in the general wine and tourism information. If you spot any errors in our guides, please do let us know. The good news is that two-thirds of our micro-region guides have been updated in the past 6 months and we try to update each guide thoroughly every 12 – 16 months. The ‘last updated’ date you see on each of our guides relates to the last time we did a thorough update adding several new or replacement recommendations. By the way, at least one well-known guide book series I know that’s available to access on-line is an exact replica of the books, so no more up-to-date than the printed guide books are. Earlier this year NileGuide licensed some of our content as part of their travel planning resources they are building to help you plan your travels worldwide. Do take a look at their website: they have a tool to create your own travel guides which could be useful to link up your wine tours with the other destinations on your holiday itinerary. Recently I became a Tripbod, one of a team of over 100 local experts who advise travellers through calls and emails on their forthcoming trips. Sometimes, an on-line travel guide or a guide book is simply not enough; on the other hand, our itinerary planning service may be too in depth for you. If you simply want some help with a few ideas of where to visit in the world of wine, especially France, or even some help in my part-time home area in the French Alps, then take a look at Tripbod. Direct access to a person with the inside track can be invaluable. Our Facebook Page is gaining a great following which encourages me to update it with interesting links and thoughts. Currently we are highlighting the Facebook pages of wineries listed in our guides in order to give them some support – it’s interesting how some of the most traditional European wineries are responding to the social media opportunity. On Twitter, I tweet about all things wine and travel, with plenty of links to interesting articles in these two related worlds. The next few posts we have planned for the Wine Travel Guides blog are from beyond the scope of our Guides …. out of Europe for once! I look forward to hearing your comments and thank you so much for following. All the pictures in this post were taken by one of the world’s great wine landscape photographers, Mick Rock, who owns Cephas picture library, one of the major sources for high quality photos of wine, food and travel. You have searched the Wine Travel Guides Blog blog archives for ‘corsica’. If you are unable to find anything in these search results, you can try one of these links.